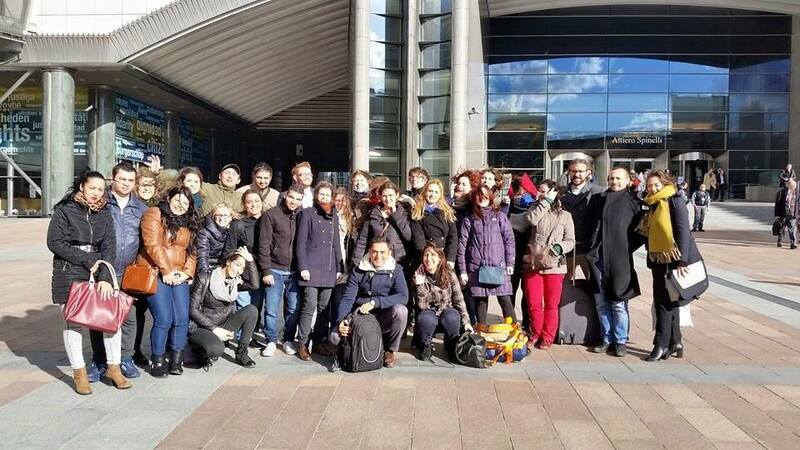 The European conference in Brussels was part of the annual networking meeting of the Phiren Amenca International Network in Brussels, between March 30-31, 2015. This meeting gives the opportunity for old and new members of the network to come together, to evaluate the results of the last year of the network and to develop further steps and cooperation possibilities under the core mission, to challenge stereotypes, racism and antigypsyism. The conference bring together civil society organizations, volunteers, experts and stakeholders in order to raise a European debate about the importance of volunteering, as well as to share experiences and feedbacks how can be volunteering a tool for active participation, especially among Roma communities. During the first part of the conference we gave space for partnership building, we gave space for each organization for a brief presentation about their work and we also presented our interactive map with information about each of our voluntary service placements. After the introductions participants discussed their current challenges about recruiting young Roma candidates for voluntary service programs; how to make EVS more attractive among Roma communities in Europe or even how to start a campaign to promote national and international volunteering among young people and Roma communities. In thematic working groups, participants also raised questions about the main obstacles to have equal access to existing opportunities for young Roma and they try to come up with a few solutions that they can also implement in their work. As a third part of the conference we introduced the whole concept of our Europe for Citizens project called “Volunteering for Roma Inclusion”. It was a long discussion about the theme, aim and the methodology of the research, but it was a first time when we consulted first time with a big audience about possible ways and ideas how to conduct the research as such then finalize it as a publication. The discussion became a debate among the different stakeholders who were present about using the term “inclusion” in the project. Everyone did agree using the term “participation”, instead of “inclusion” as its also express better our philosophy and mission as a network to involve young Roma people in European mobility programs and moreover its express our long term goal and vision that Roma young people are equally participating in decision making processes, in education, in democratic life and they can influence their future. This is how we came up with the title after the conference for our research: “Volunteering – Citizens tools for Roma participation”. We believe volunteering can be a great tool for young people to become part of a bigger society and to become active part of the European Union not just during their voluntary year(s) but also as part of their professional career.